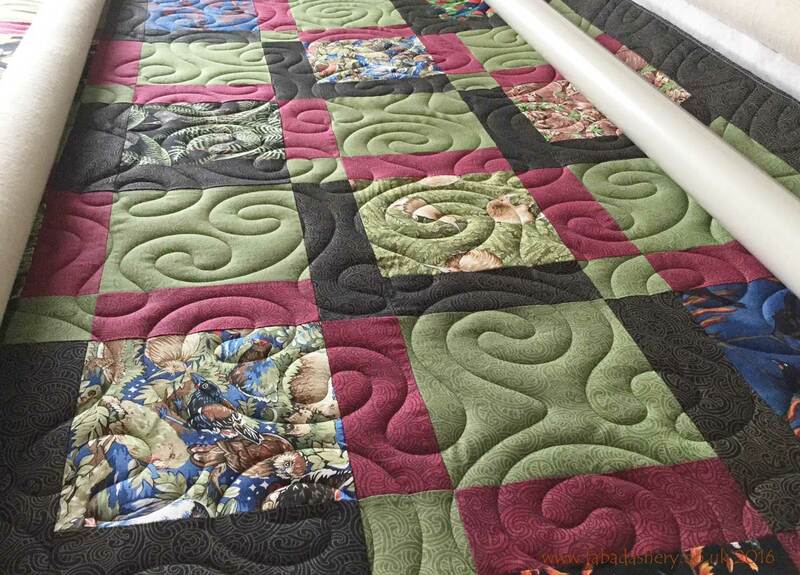 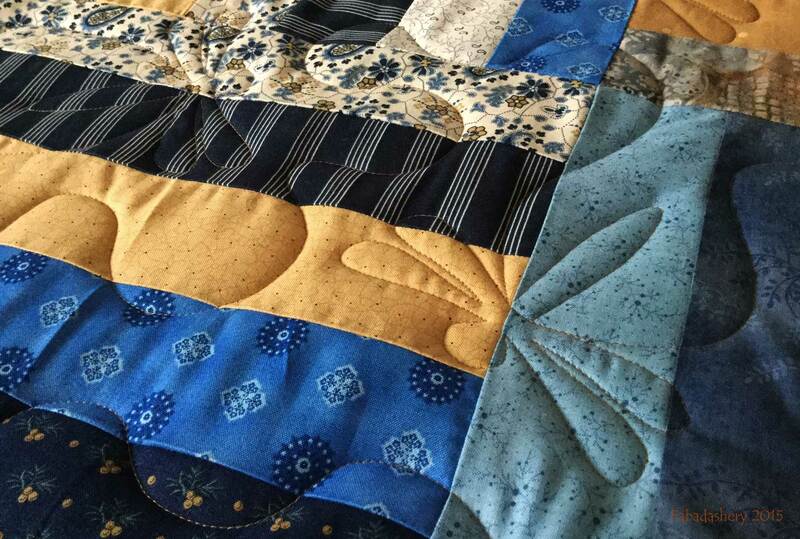 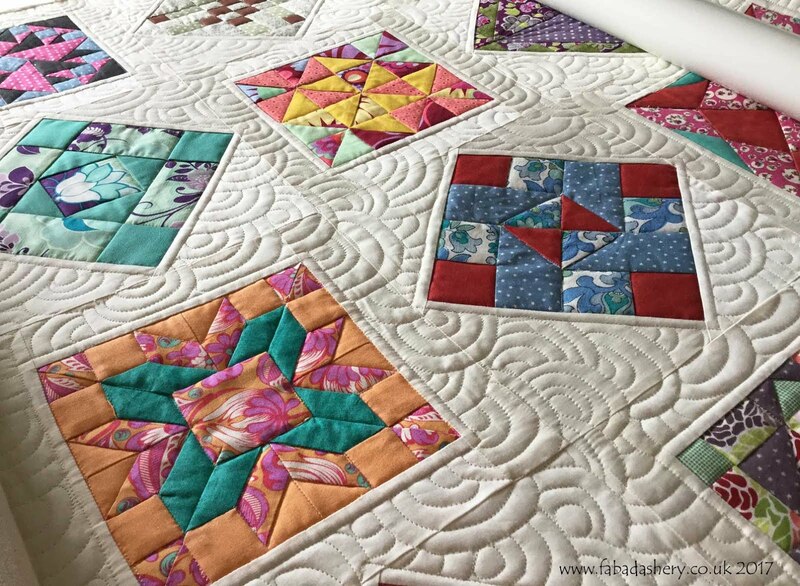 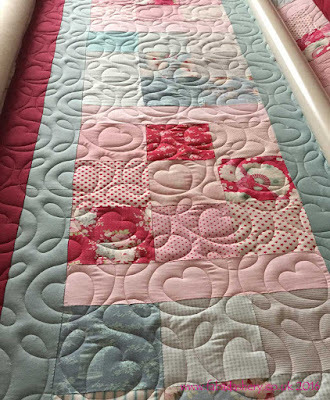 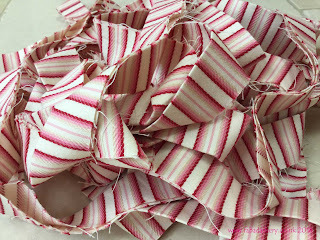 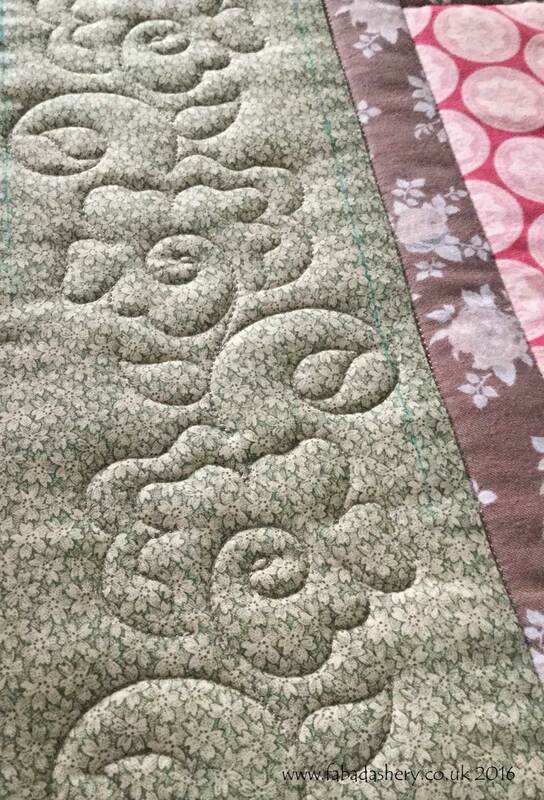 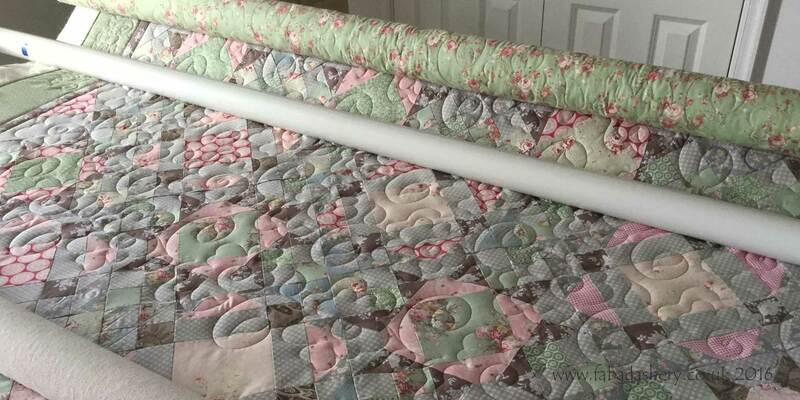 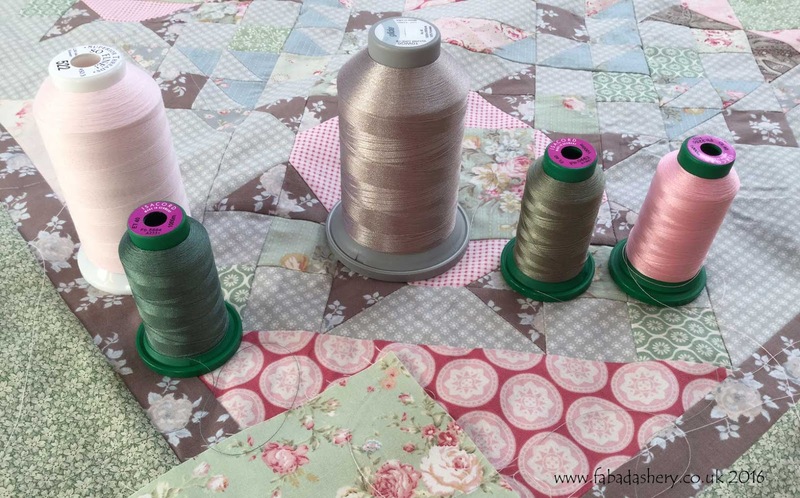 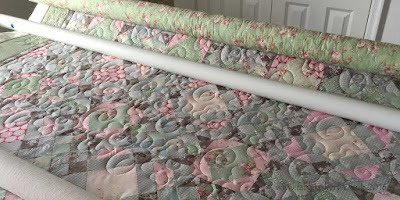 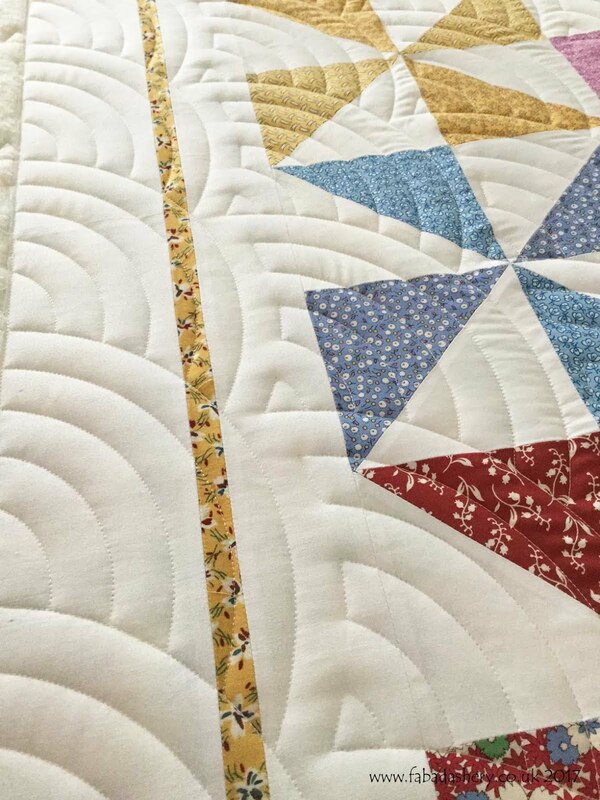 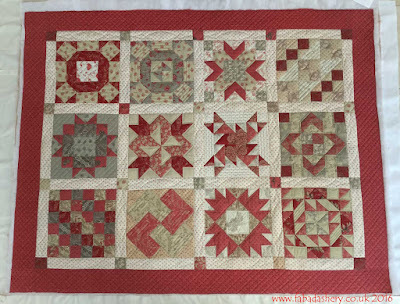 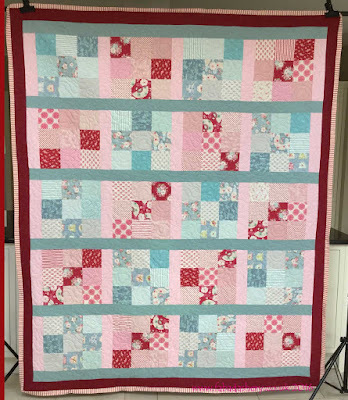 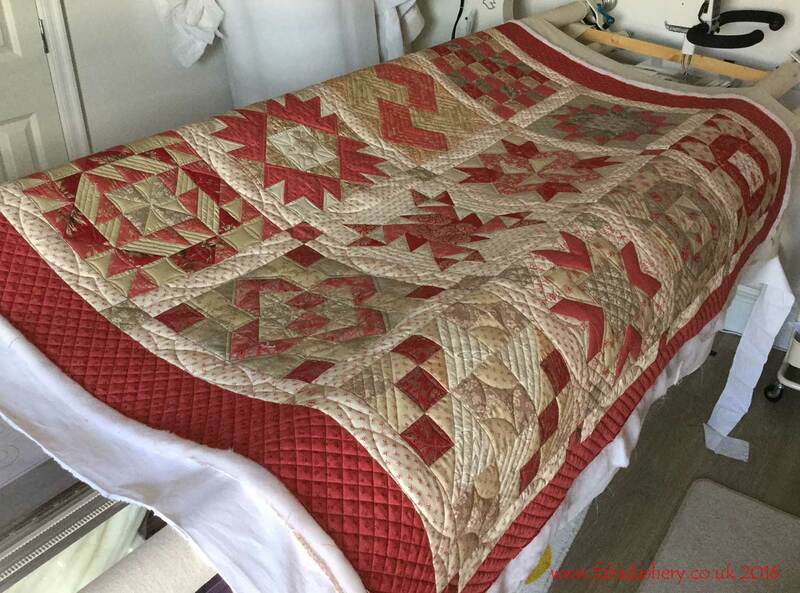 In my last post I mentioned that I was about to long arm quilt the same Jelly Roll Sampler quilt by another customer who had followed it as a BOM a couple of years ago. 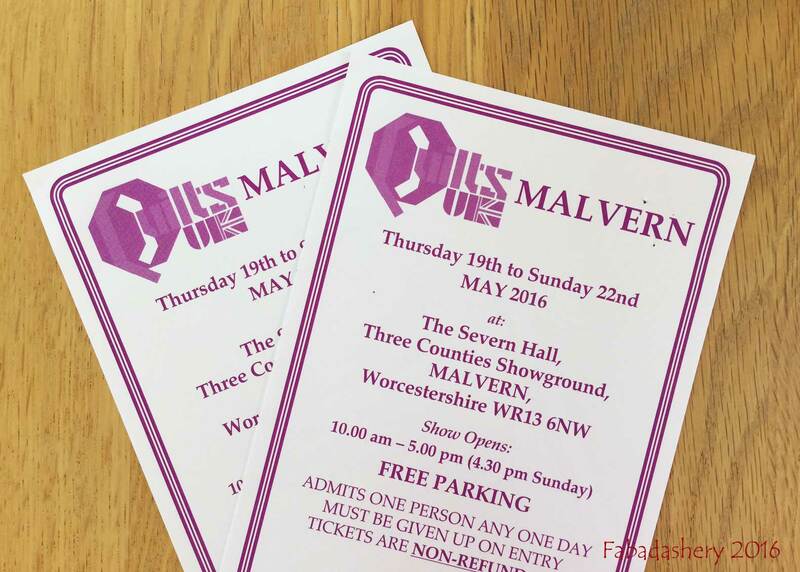 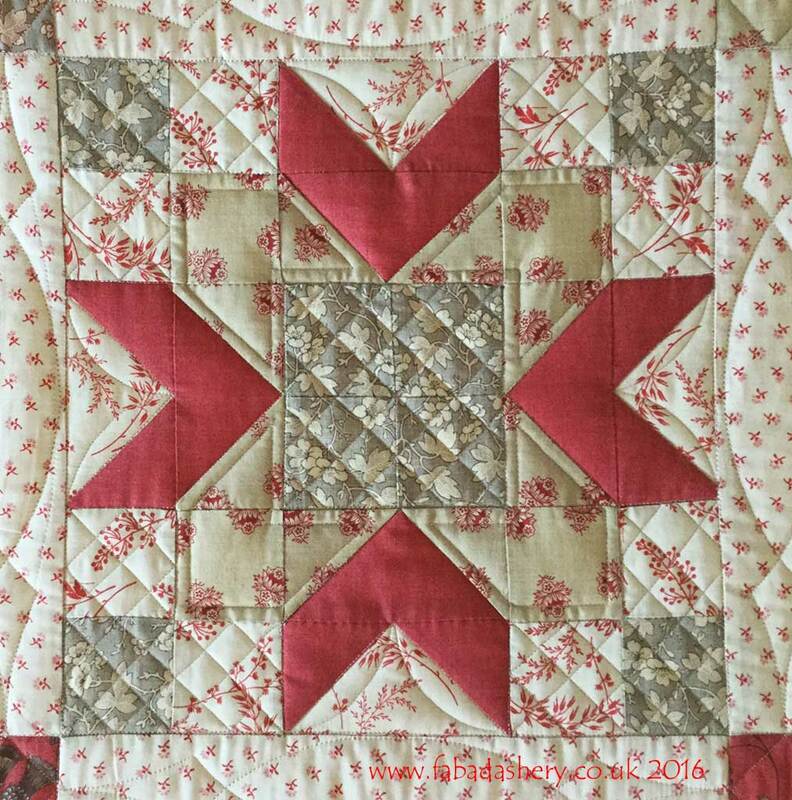 This one uses the popular French General fabric range by Moda. 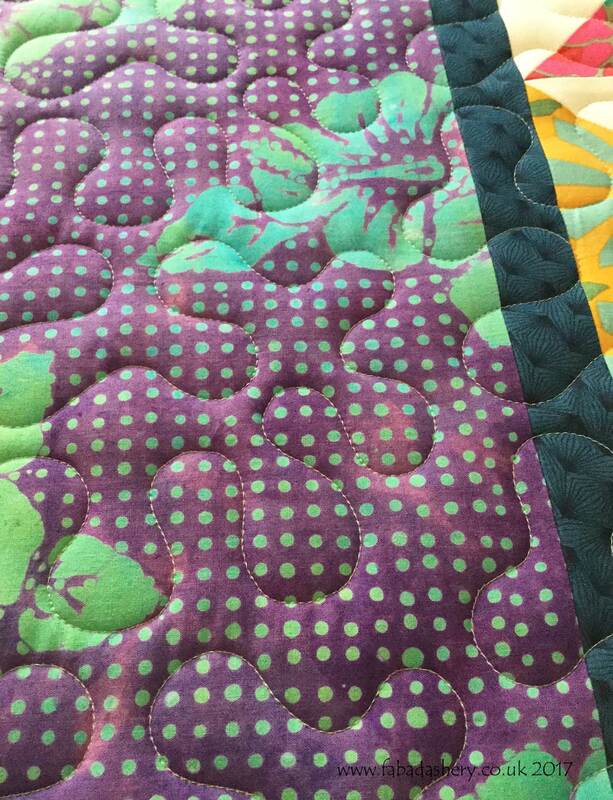 Not only do the fabric choices make the two quilts different, but I have treated the quilting in the blocks slightly differently too. 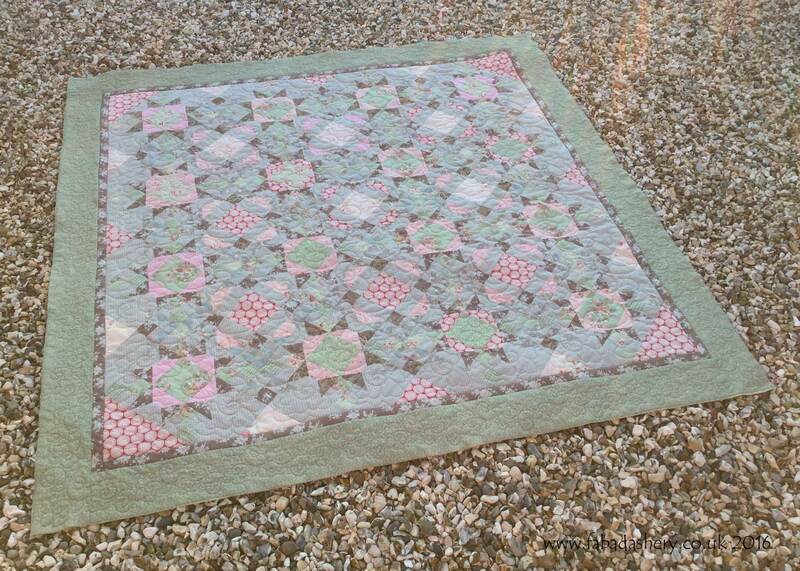 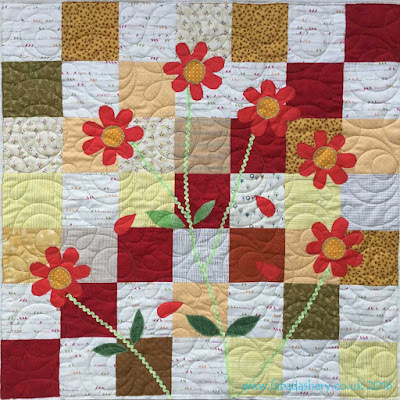 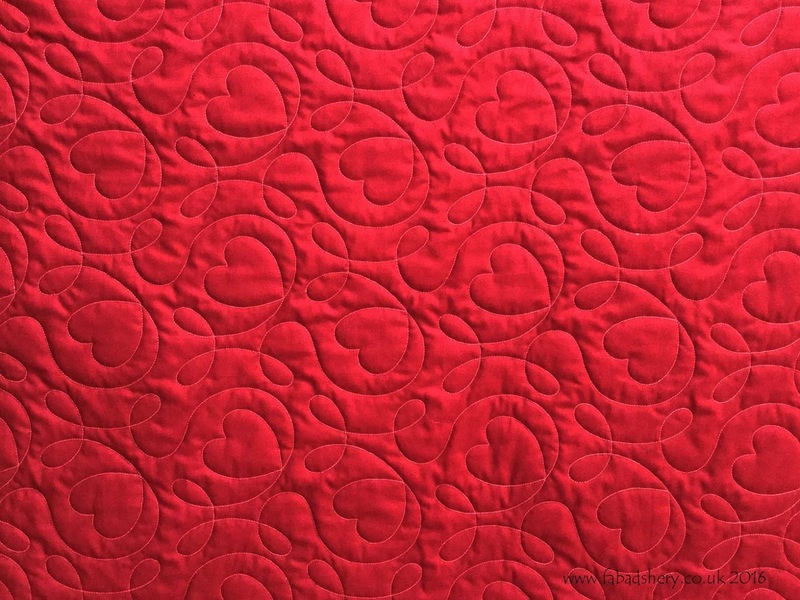 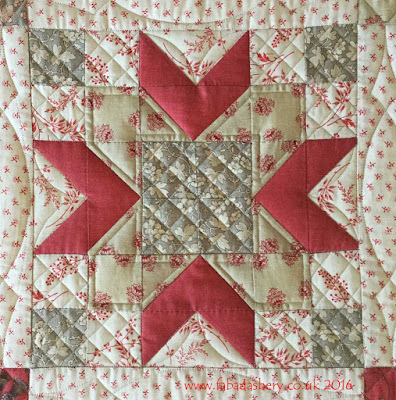 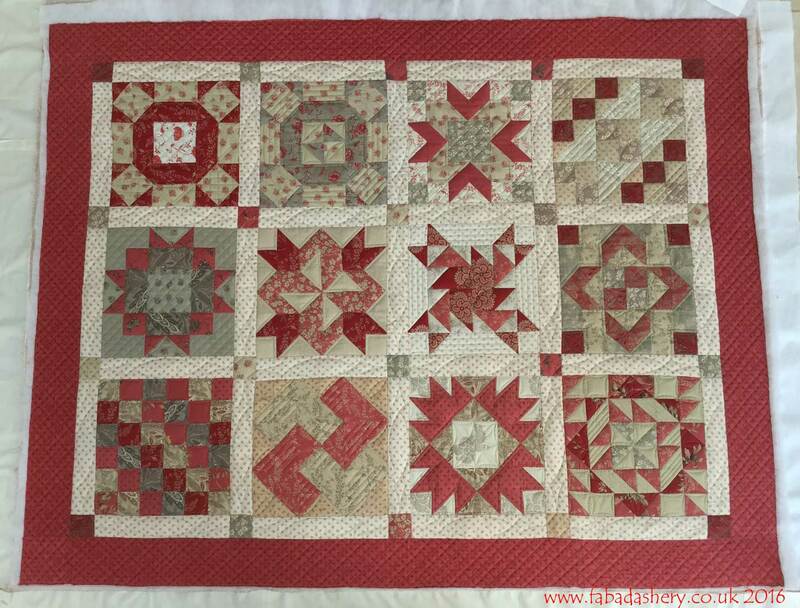 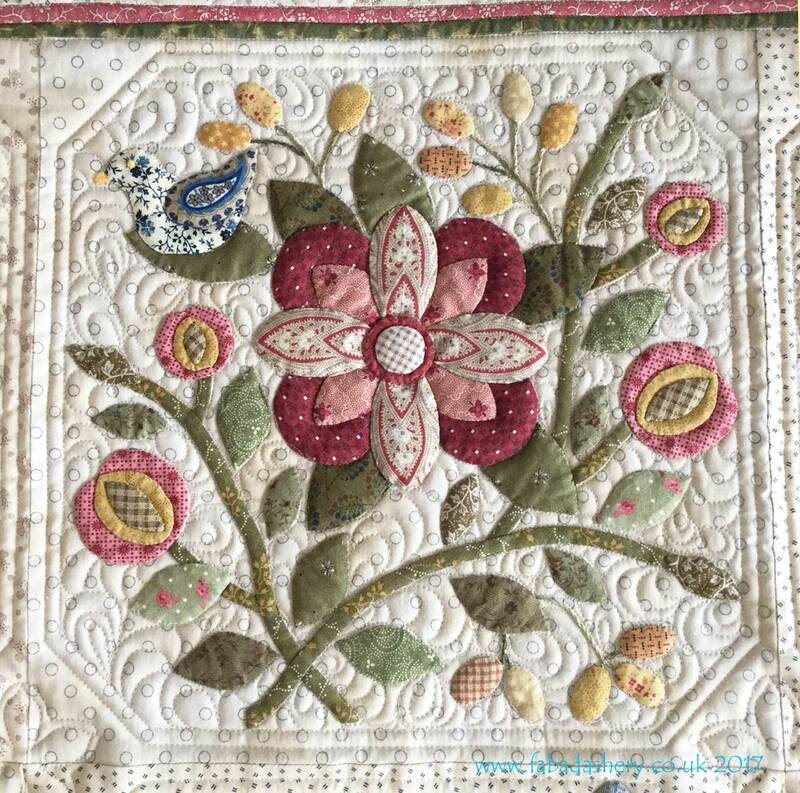 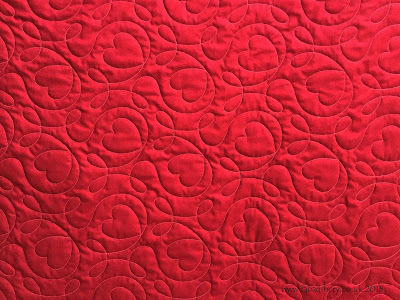 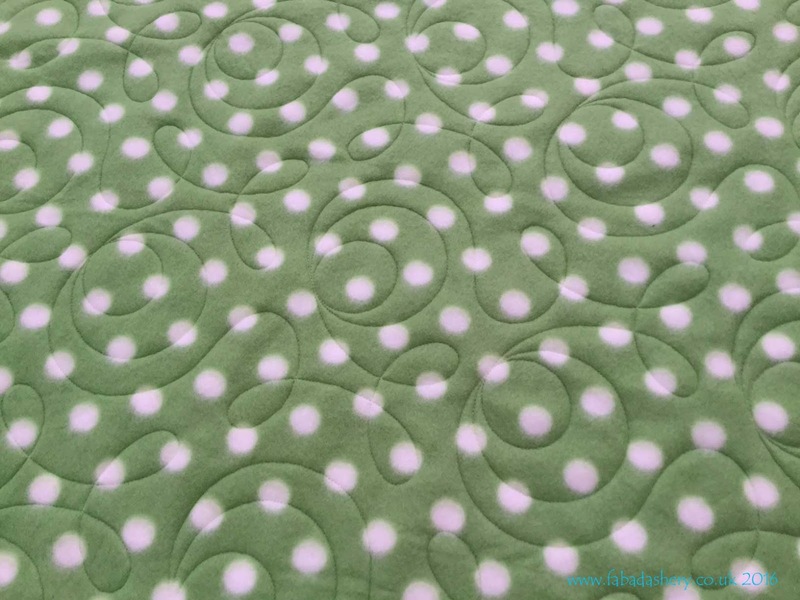 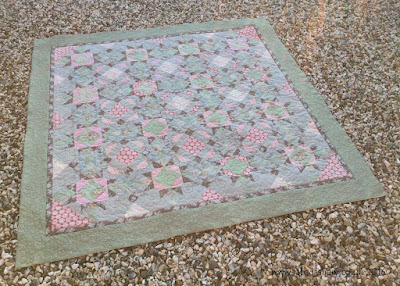 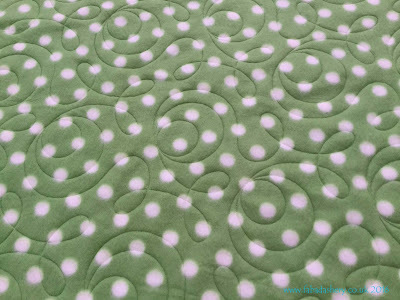 Here is the same block I featured in the last post, but the quilting emphasises different elements. 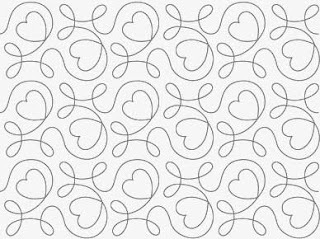 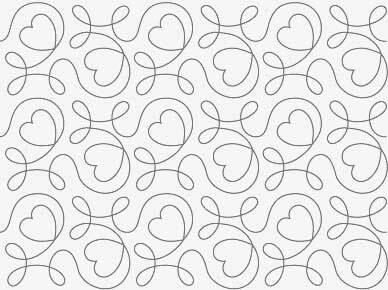 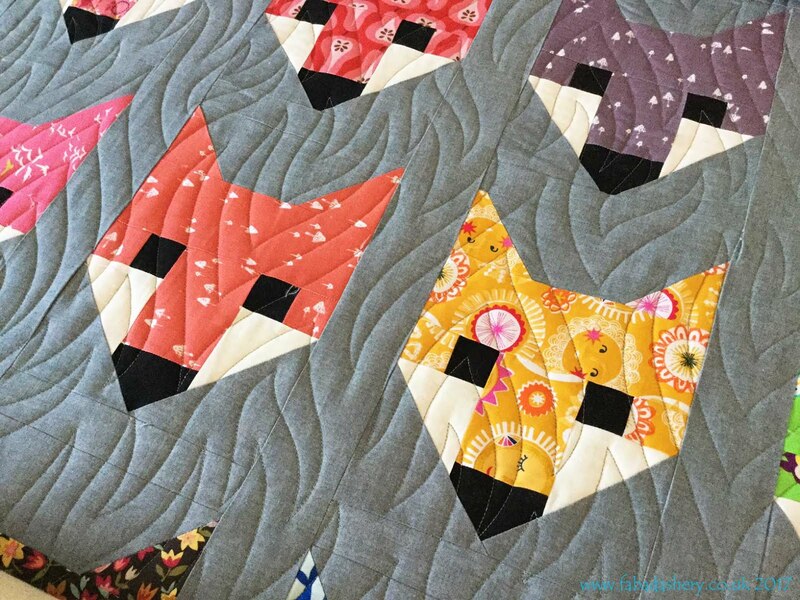 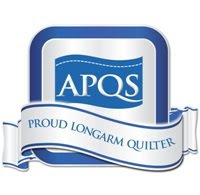 Now I know this quilt so well I am almost tempted to make one myself!